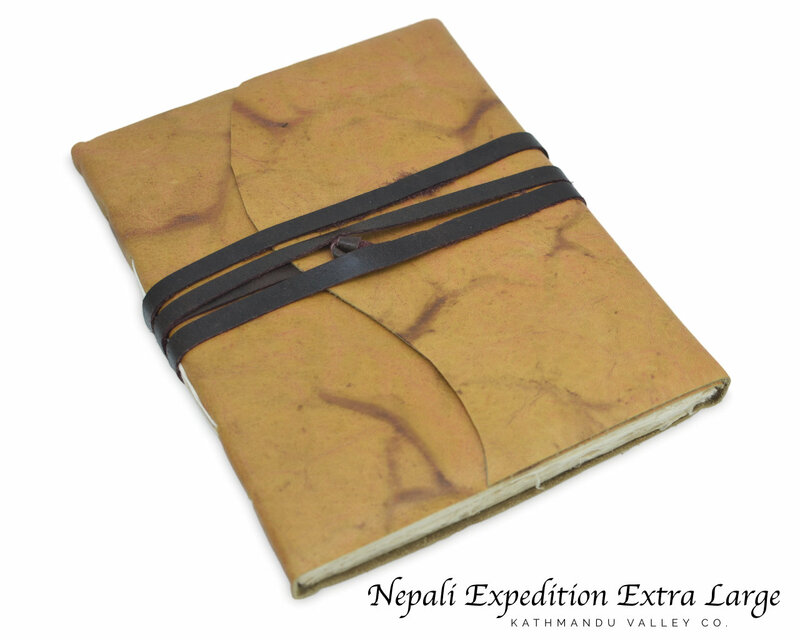 Nepali Expedition Leather Journal with Handmade Lokta Paper | Kathmandu Valley Co. The leather is tanned using the time-honored practice of a walnut husk vegetable-dye. Deckle-edged pages (similar to rough cut) are edged by hand and add to the rustic style. Modern papers are bleached to gain brigtness, our paper is bleach free and acid-free. 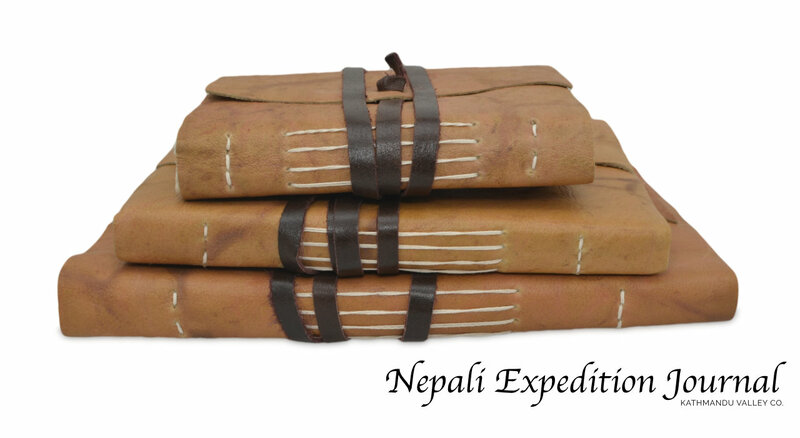 Available in three sizes, the Nepali Expedition Journal is ready to join you in your travels whether it’s close to home or in a land far away. 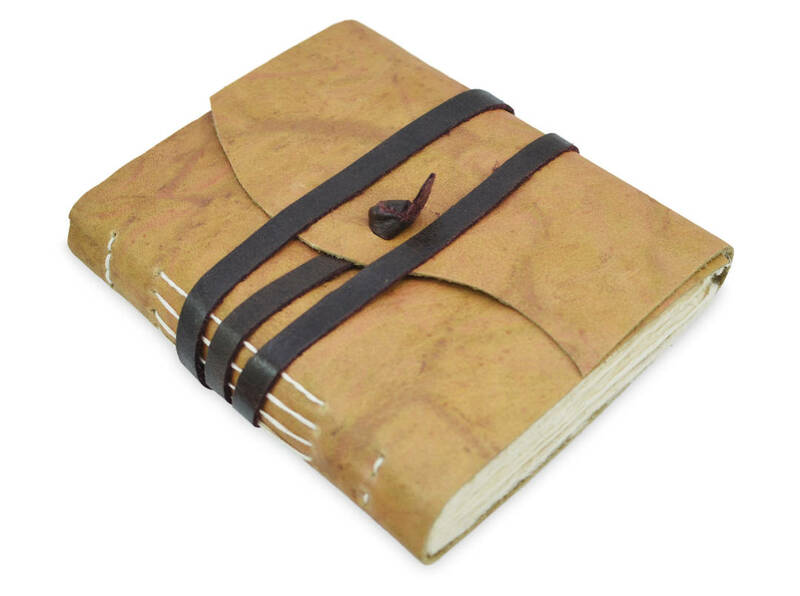 Journal Sizes: Medium (5x6.5″), Large (6.5x8.5″), Extra-Large (8x10″). 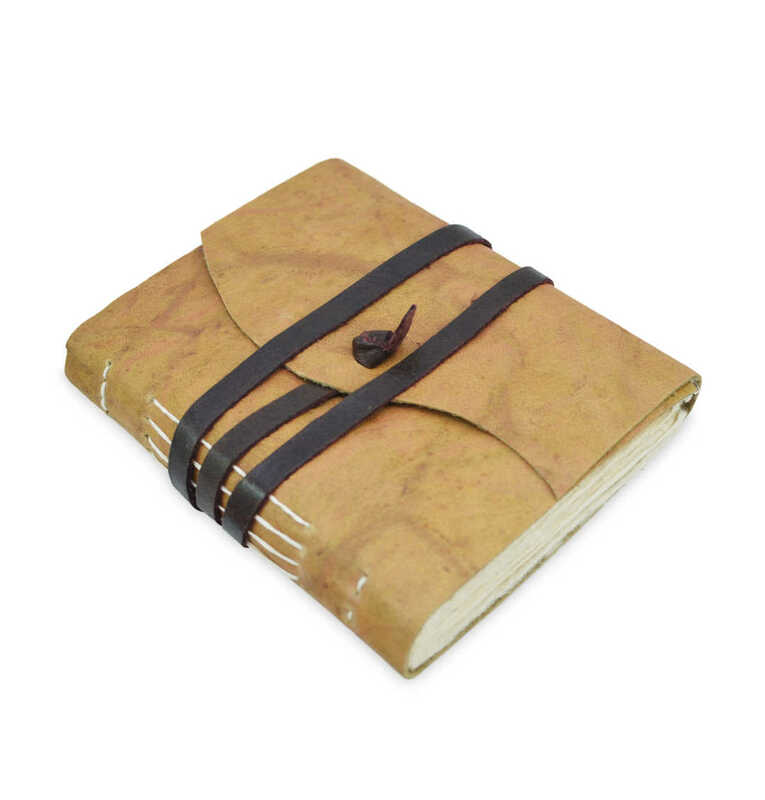 Include the Nepali Expedition vintage leather journal in your next adventure.